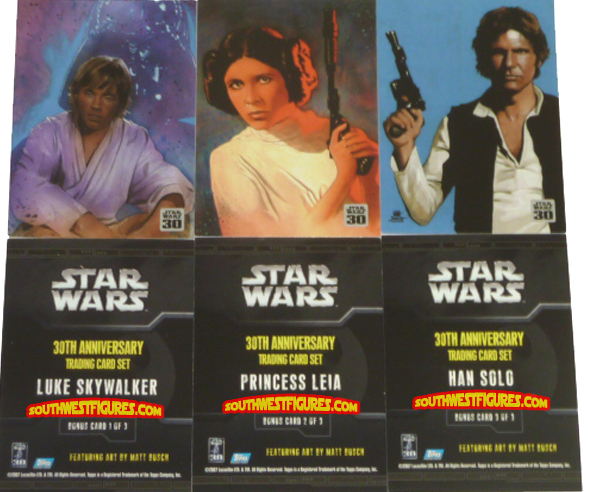 Get 30 sets of 10x Luke, 10x Leia and 10x Han (pictured above) opf these Topps trading cards made for the 30th anniversary of Star Wars. Card artwork of Matt Busch. Comes in a hard plastic case to preserve and protect the cards. 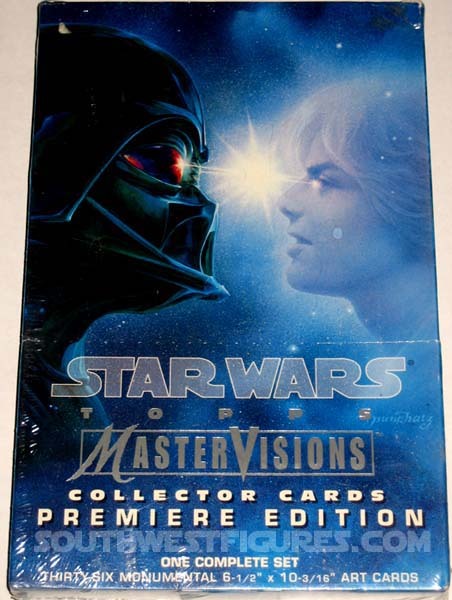 Includes one complete set of 36 LucasFilm, LTD. art images created by Star Wars artists such as Johh Alvin, Mark Harrison and Ralph McQuarrie (who later was also named as an action figure in the 30th Anniversary Series w/ Coin). Each art card is full color and approx. 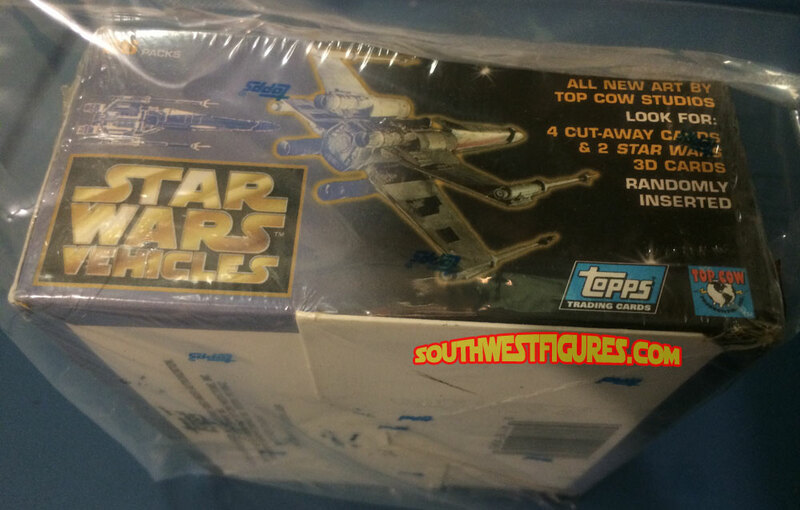 6 1/2" x 10 3/16" in size in Topps factory sealed mint shrink-wrap box. 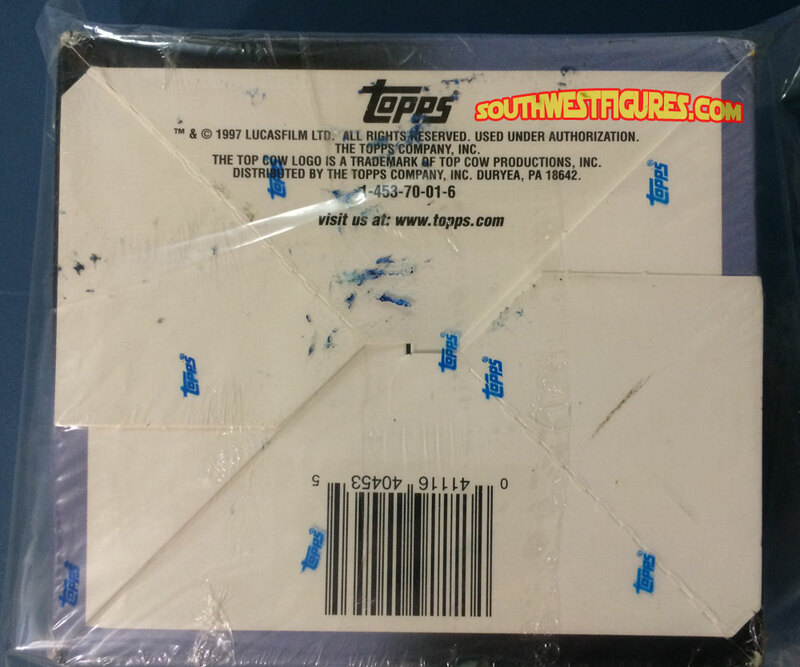 Complete Topps factory sealed C-9+ (near mint) box containing 36 packs. Additional images: 2 3 4. Box does not state number of cards per pack. 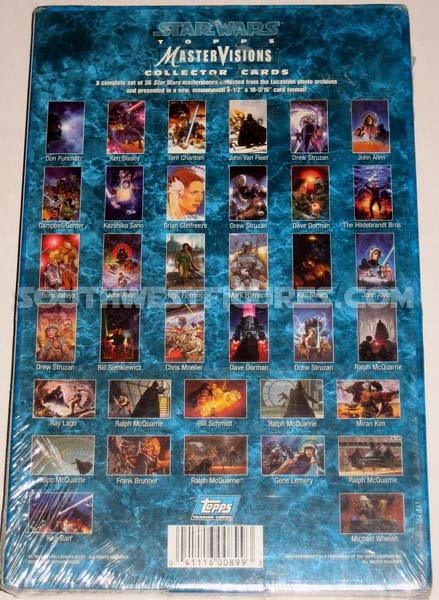 According to wikipedia.org there are 72 cards per box including (4) cut-away cards, (2) 3D cards randomly inserted in individual sealed packages 5 1/4" L x 2 1/4" H x 4 1/2" W per box according to Topps. Shrink-wrap box. 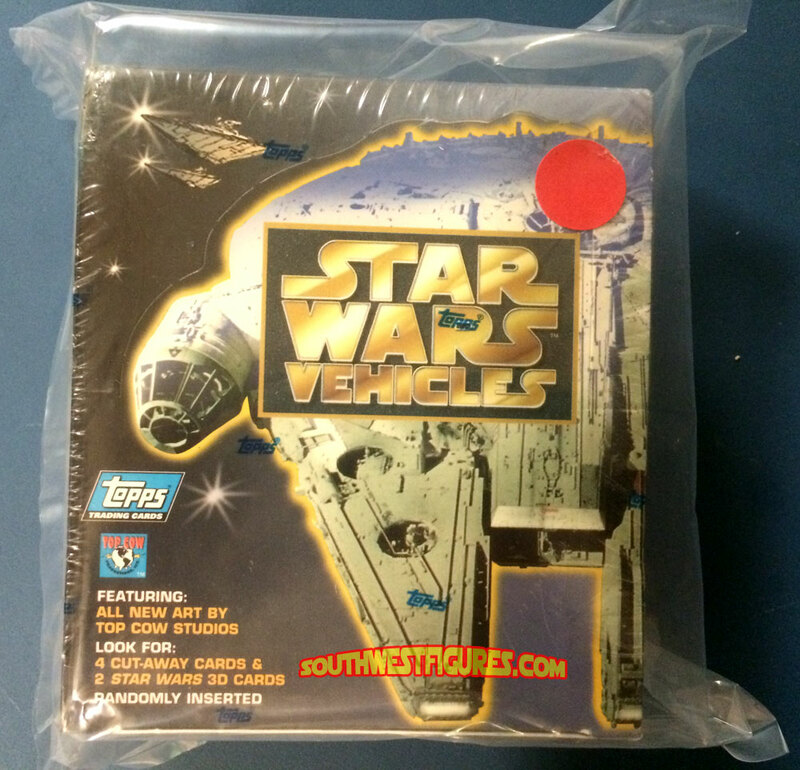 Includes complete Topps factory sealed mint box containing 36 packs with 8 cards per pack, 288 Star Wars trading cards total. 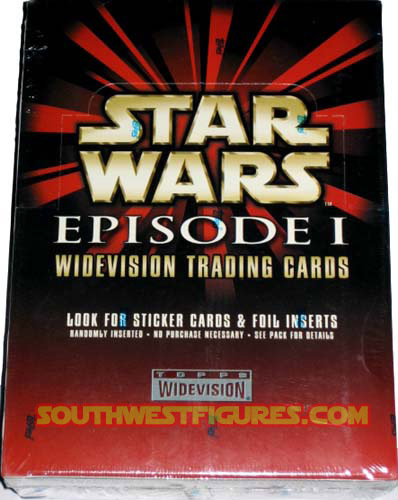 Foil cards and sticker cards randomly inserted in individual sealed packages. PLUS a bonus mega-sized chrome card. Look for special insert cards. 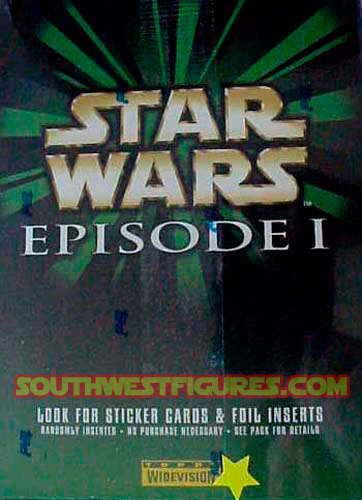 Odds per tin: Sticker cards 1:2; Foil Inserts 1:8. Shrink-wrap box.